The main reason why people installed jailbreaks on their devices was to get Cydia, the third-party app store that provided all the modified and tweaked apps and games they could want. In recent times, Cydia has barely seen an update in the last couple of years but, for some lucky users it is still available, and there is always the likelihood of a more significant upgrade just around the corner. Right now, we don’t know when but, in preparation, we’ll try and answer all your Cydia questions. 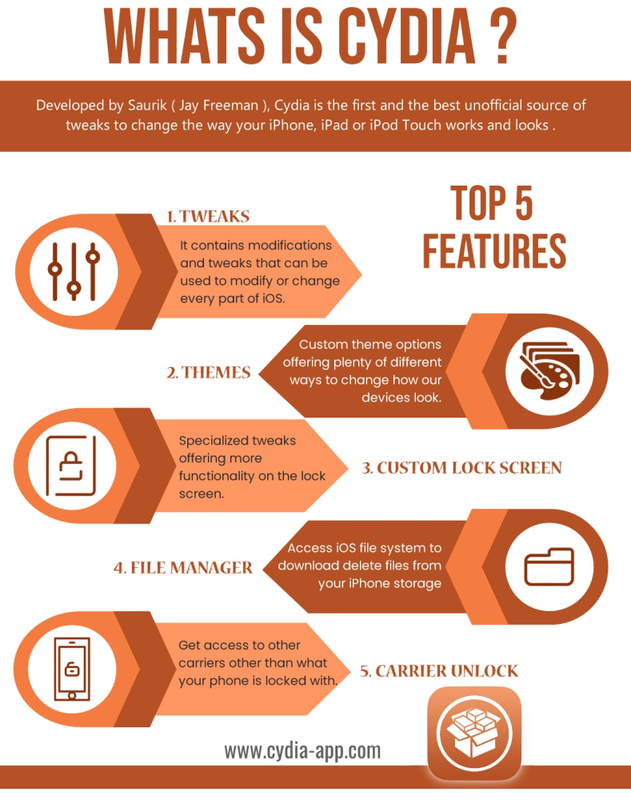 Everything about Cydia explained visually. Cydia is an unofficial app store containing tweaks, modified apps and game, new ringtones, new themes and much more. The main reason for installing these is to provide our iOS devices with extra functionality and features like screen recorders, better app switchers, additional lock screen features and much more. While most of this may already be available on iOS, Apple doesn’t provide the same level of function that Cydia can. Just in case you want to know, the name Cydia came from the Codling moth. The scientific name for that is Cydia Pomonella which translates to mean “the worm in the apple”. 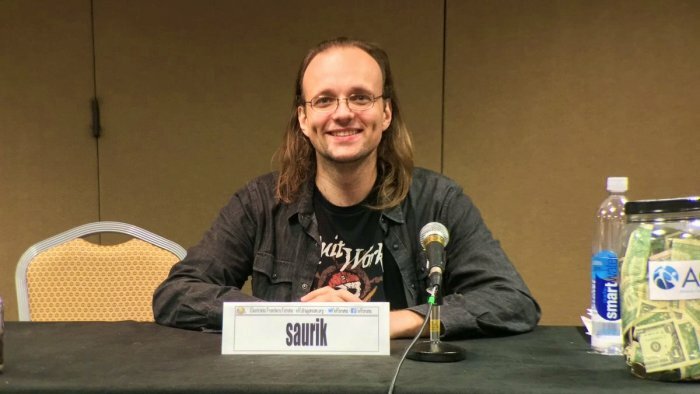 The developer responsible for Cydia is Saurik, aka Jay Freeman ( twitter ). It was released for the first time in 2008, designed as an alternative to install.app, provided by Apple on OS 1.1. Within three years, Cydia was getting over 4 million users every month and remained the most popular of all the unofficial stores to date. Why Do We Need to Jailbreak to Get Cydia? Apple is quite restrictive in what they allow us to download; if it doesn’t come from their app store, they don’t want you to have it. Cydia is one way to get third-party apps and other content on your device, and it is included in every jailbreak – you cannot install it on its own. What Can We Do With Cydia? It’s easier to tell you what Cydia doesn’t let you do! To be honest, if you can think of something that you want to do with your iPhone or iPad, there’s probably an app for it in Cydia. You can download from any number of themes, modifications, ringtones, tweaked apps, and much more. Themes are one of the more popular downloads, offering plenty of different ways to change how our devices look. Lock Screen Themes tend to be more popular than many themes because they offer more functionality on the lock screen, such as being able to choose what you want to access and see. Cydia provides a whole heap of functionality that Apple never did. Take FaceTime, for example. Apple restricted it to use on Wi-Fi only, as they do with quite a few apps, but a simple tweak from Cydia tricks the apps into thinking they are on a W-Fi network when they aren’t – you can use any app anywhere, regardless of what type of connection it demands. Pretty much whatever you want your device to do, Cydia will provide the means to do it. How to SetUp Cydia and Use It? Manage – add repositories, edit existing ones and see whether you have sufficient space to download your next app and remove any apps or tweaks you don’t need. What is a Cydia Repository? The word “repository” means a place for storage and that is precisely what a Cydia repository is – a place where apps, tweaks, themes, etc. are stored. Cydia comes with the most popular repositories already built-in, and it’s easy enough to add new ones. More About Cydia in our FAQ page. That is Cydia in a nutshell; with any luck, we will see a new update to the popular store soon so follow us on Facebook for all the latest news. Where is the iOS 10.3.3 version of cydia. The link leads to a dea end and no download. I am looking for the Cydia repository structure. Some Cydia can not show my repository. not sure about the repo , you need to contact Saurik himeself.